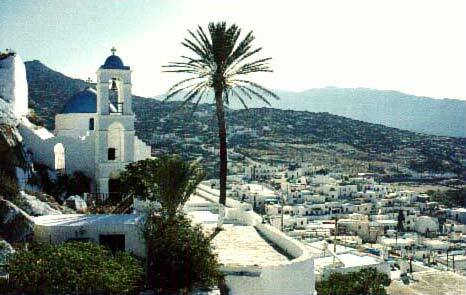 Ios, lies South in the Cyclades islands between Naxos and Paros to the North, Amorgos to the East, Santorini in the South and Sikinos, Folegandros and Milos to the West in a distance of 107 nautical miles away from Piraeus. It has an area of 108 sq. km. and a population of 1,500 people. The island can be reached from Piraeus by ferry all the year round. 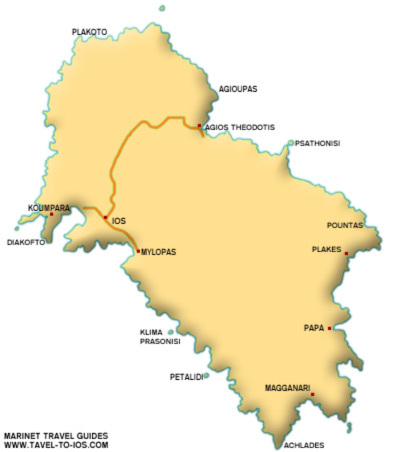 Ios is also connected, by ferry, with Crete, with the Dodecanese island complex, as well as with many other islands in Cyclades, mainly during the summer period. 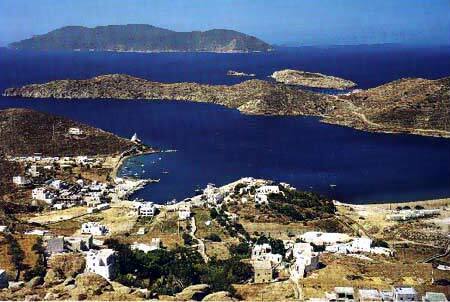 Finaly there are also sailings to other islands in the Cyclades. In our times, Ios has become the meeting place for young people from all over the world. This young crowd comes to Ios to enjoy the deep blue of the sea, the shining sun and the frenzied nightlife. But the gates of Ios paradise are open not only to the young, but to everyone. Once you are here, you will make a promise to yourself to come back next year! 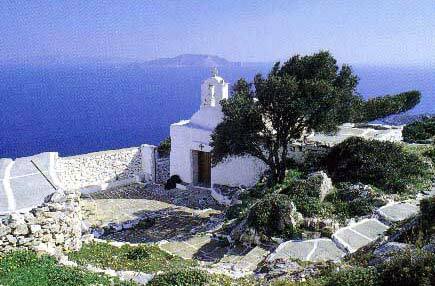 Many believe that Ios is the most beautiful island in the Cyclades. The pretty little chapel of St Irene at the entrance to the harbour, the town of Chora, white above the harbour, climbing up a hillside, with a chapel at the top-all this at once creates this impression. Ios, has a lot of things to offer, even in the most demanding visitor. The imposing landscapes, the picturesque settlements like Mylopotas, the beautiful beaches like Manganari and Ayia Theodoti, the tomb of Homer and of course the wild nightlife, made Ios a very popular destination. Ios is the place of the ultimate freedom! But any description, however, lags far behind the reality. There is only one answer: come to see! If you are young, or you feel young, this is the place for you!